The Merino Longsleeve is a true multi-talent and is a fundamental part of the Merkel GEAR layer-system from the very beginning of the season until the very last foxhunt. The robust, yet very soft and tightly knitted merino wool from sustainable production – a total of 235g/m2 – leads to an unequalled insulation and a perfect weight to warmth ratio. The unbeatable combination of polyester and pure merino wool is the reason for optimum moisture wicking and a fantastic wearing sensation. Worn alone, the Longsleeve is the better alternative for a light jacket in cooler evening hours. 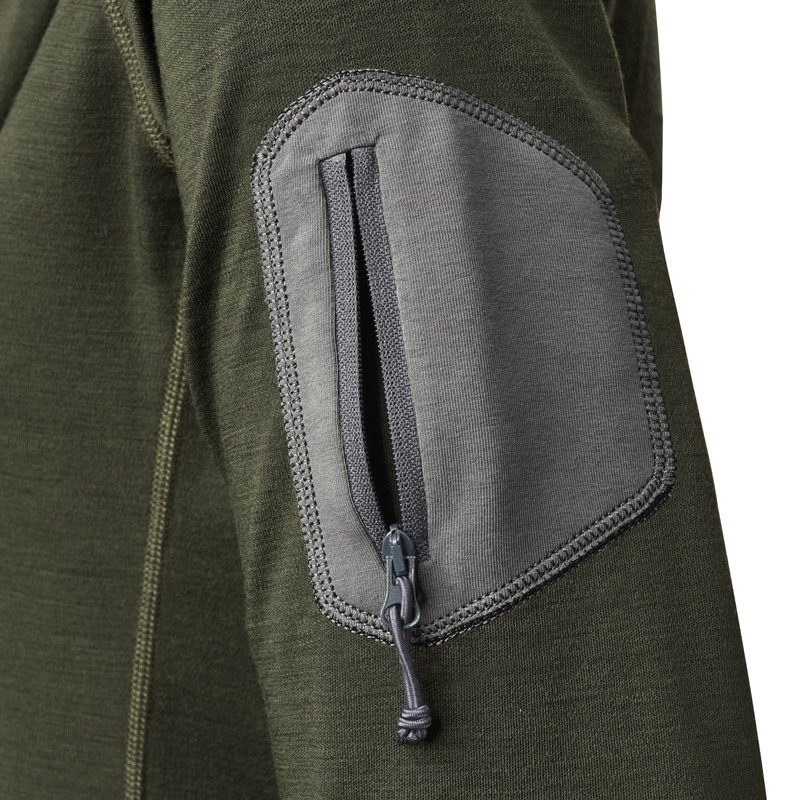 Like all pieces of the collection, also the Longsleeve is significantly longer in the back, so that your back is protected from drafts even when you are bending over or crouching. 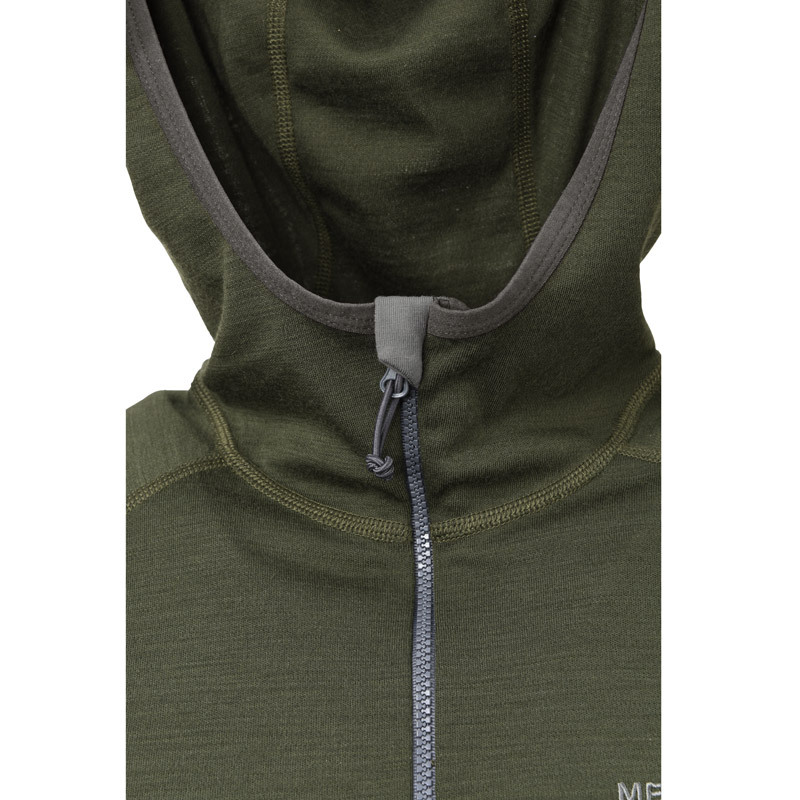 The hood encloses your head softly to counteract tiring wind gusts by warming your neck and nape on cold days. 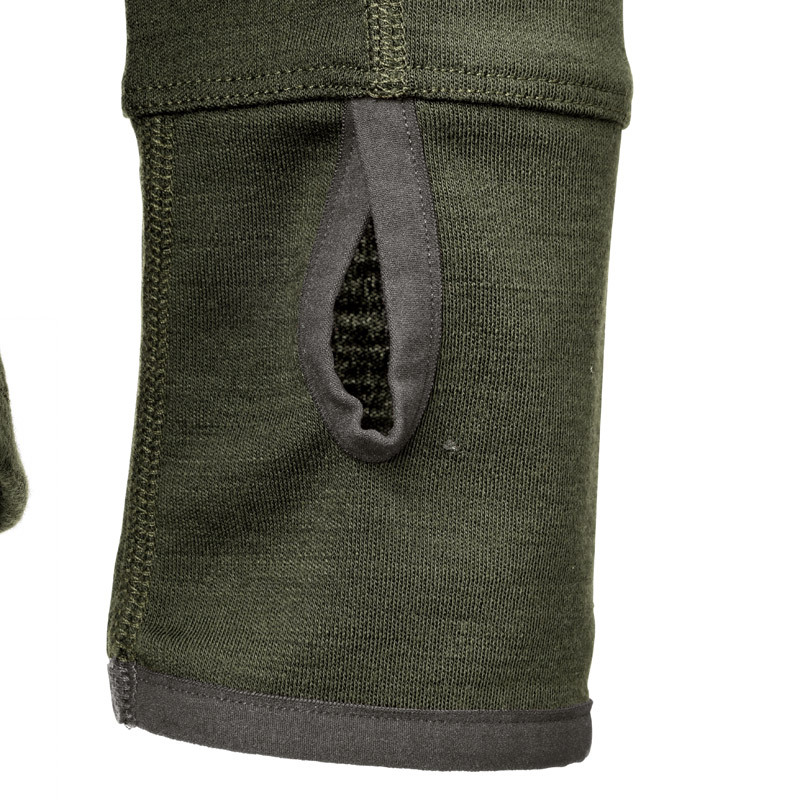 Soft thumbholes at the pre-shaped sleeve endings facilitate the adding or shedding of additional layers of clothing. 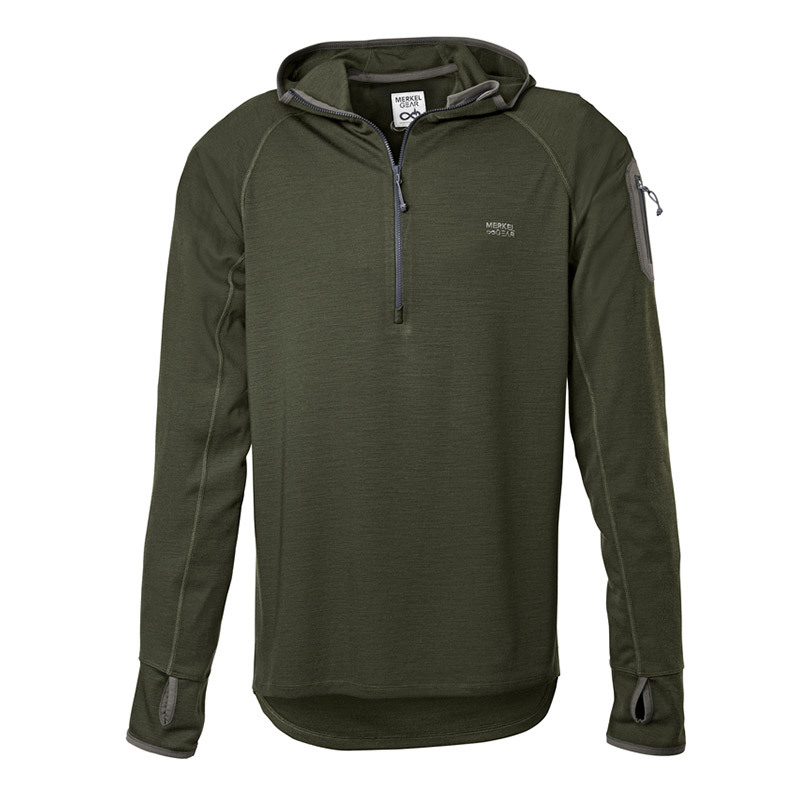 The quarter zip makes it easy to pull the shirt overhead and it allows for quick ventilation in case the march towards the hunting ground causes you to break a sweat. A small pocket on the left upper arm can hold a “blatter” or a cleaning cloth for the hunting optics. Light fleece shirts like our Bush Shirt are pieces of clothing, which have long since been part of the very basic equipment of any hunter in Anglophile countries. Our merino Longjohn 37.5™ (long underpants) is made from the same robust and yet ultra-soft merino wool as the Longsleeve 37.5™.